Are you tired of those carpet stains and dark spots constantly catching the corner of your eye? Dirty carpet doesn’t just look bad; it can also be hiding harmful pollutants and allergens inside it. A clean home is a peaceful oasis away from the hustle and bustle of the outside world. Let us help make your house a place you can relax again with our professional home carpet cleaning services. Steam cleaning can also increase the longevity of your carpet by removing dust and abrasive particles that can wear out your carpet faster. 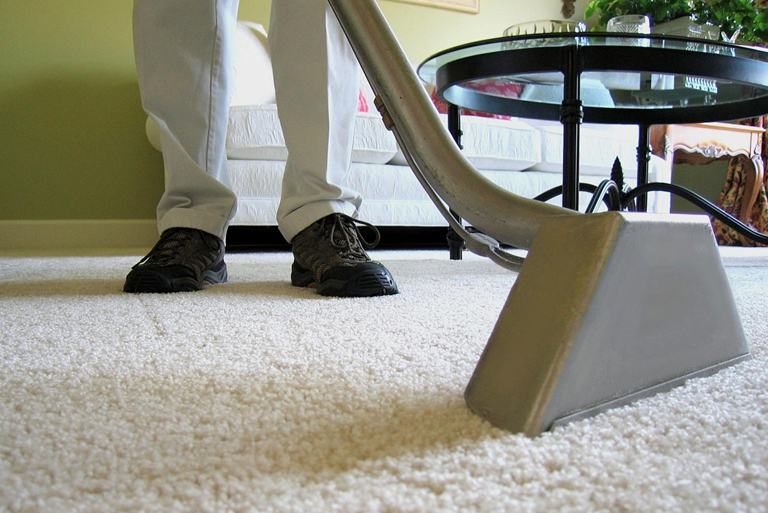 Additionally, the hot water extraction process removes pollutants and allergens from the carpet. This means your home will not only look and smell cleaner afterward, but the air quality itself can also improve. It’s recommended to have a professional, steam cleaning treatment done at least once a year to keep your carpet in its best condition for years to come. We provide a deep steam cleaning service that doesn’t just cover up the stains, but removes the dirt and grime from deep within the fibers of the carpet. Our process is gentle on carpets and rugs but tough on stains. Not only does steam cleaning remove the source of dark spots and spills, but it also removes roughly 95% of household allergens along with the grime. We have decades of experience behind us and the know-how that comes with that experience to guarantee your satisfaction with our results. We all love our pets, but they sure do know how to make a mess sometimes. Our professional technicians can have those pesky stains out in two shakes. Whether that newest “spill-proof” sippy cup failed to live up to its name or things got a little wild at your most recent wine-tasting party, we can help bring your carpet back to its former glory with our expert spot treatment. You know that part of the carpet that makes you feel like you’ve stumbled upon a game trail? How about the darkened area under your favorite spot on the sofa? We can get your carpet looking bright and uniform, eliminating all those foot tracks. Let us show you why we have been a trusted provider of carpet cleaning services in Tahoe for over two decades. Call or fill out a request form now so we can schedule an appointment and get your carpet looking beautiful again.